My dad died a month ago today. Exactly one month ago this evening I sat at this computer cobbling together my global health web site, Global Health Lessons, background TV blaring a weepy funeral service for singer-diva Whitney Houston. Her death certificate blamed drowning, but the bigger blame was also Whitney’s deadly fondness for cocaine. I wondered if Whitney had lived somewhere else – a place safe from drugs, equal to a burly bodyguard protecting her from such addictive temptations – would she be alive today? Even for the rich, has Whitney proved a global health lesson that where you live – and the lifestyle influences of that “spirit of place” – affects your health, and your death? As Whitney’s farewell unfolded, I sat here writing about health determinants in global health: where you live; your lifestyle; your wealth; your ease of access to medical care; and the quality of that care. They all shape your health, and a country’s health. As I immersed myself in writing how to untangle global health jargon, my mom called to say my dad was in the hospital under observation for fainting, along with blood pressure and heart blips. No big deal: Dad was scheduled to be released that day, Saturday. Ok Mom, thanks. I went back to typing and HTML-coding with Whitney’s funeral service as background noise, writing how global health is local health. For some reason unknown to me the doctor grew cautious. A million miles away from Seattle, things weren’t adding up. The doctor told Mom maybe let’s be safe and fine-tune Dad with a temporary pacemaker, just in case. But oops: it’s Saturday. Oops: it’s Presidents’ Day weekend. Oops: Let’s wait until the office opens Tuesday – make sure Medicare will cover it. Just hang tight ’til Tuesday, Dad – you’re going home with a pacemaker prize! Instead, Dad was talking on the hospital phone with my sister. Then… “I don’t feel so good.” Dad dropped the phone, cord dangling. A blur: code-blue emergency surgery, pacemaker permission be damned. Too late: Dad’s heart simply stopped. It stopped like when a horse lies down, and then…simply… dies. Dad’s death certificate blames myocardial infarction, but might the bigger blame be healthcare red tape, like permission for a pacemaker? 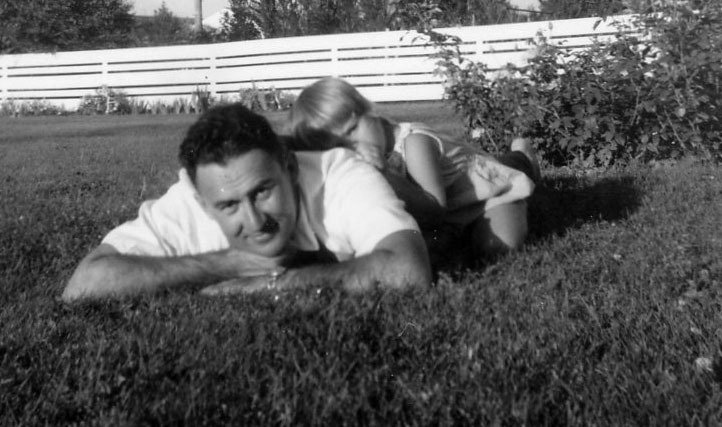 I wonder if Dad had lived somewhere else like Norway, land of his ancestors – a place safe, equal to a medical-system bodyguard protecting him from such healthcare red tape – would he be alive today? Even for an average American, has Dad proved a global health lesson that where you live – and the health-care influences of that place – affects your health, and your death? Tags: 'spirit of place', death, divas, family, fathers, global health, health, Helen Holter, relationships, Whitney Houston. Bookmark the permalink.